The bayside city of San Francisco is a buzzing tech town, known for start-ups, scenic views, and proximity to wine country. It’s a trendsetting city that’s full of exceptional cuisine, fantastic job opportunities, and culture around every corner. Though the price of rents and housing here are sky high, many people still flock to this Northern California city. We love San Francisco, and wouldn’t trade living here for the world. We also love helping our San Francisco clients navigate the San Francisco relocation process. Whether you’re moving here from across the country or just swapping neighborhoods, we’d love to assist with your Bay Area relocation. Long Distance Moves: For moves outside of our local radius, we charge for the move based upon the weight of the shipment. Prior to sending you a moving contract, we’ll send an estimator to your home to perform a walk-through. Based on the inventory he takes at this time, we will provide you with a comprehensive moving quote. We offer non-binding, not-to-exceed estimates. This means the final price of your move will be determined by the actual weight of the shipment, but will not exceed the original quote provided. This type of quote benefits you because if the shipment comes in underweight, you are only charged for the actual weight of the shipment we move. 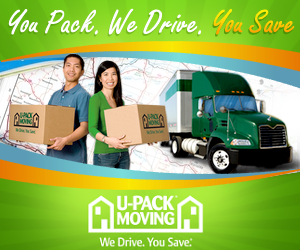 Please contact us to get started with your San Francisco move! We look forward to serving your needs!